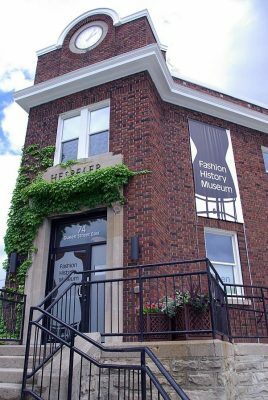 The Fashion History Museum is located in a former post office in Hespeler. It was founded in 2004, but did not have a permanent home for ten years, resulting in travelling exhibitions until 2015 when they moved to their current location. The collection in the museum spans from the 1660s to the present day, and includes almost 10,000 different items. One of their notable artifacts is claimed to be the oldest European shoe worn in America, while another noteworthy item is a hat worn by Julia Grant, wife of Ulysses S. Grant. As well as historical garments, the Fashion History Museum also highlights contemporary items, and has a library and archive of fashion-related publications. Artifacts from the Fashion History Museum have travelled to many locations around the world, including Hong Kong and Bahrain. The Fashion History Museum features a number of exhibitions which are changed regularly. Past exhibits have included Jane Austen’s World, vintage Hollywood glamour, 200 years of wedding fashion, as well as a one-day exhibition of Dior clothing. 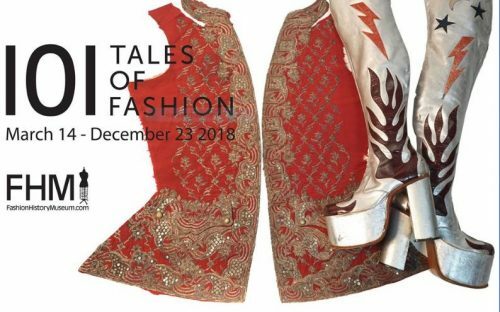 The feature exhibition for 2018 is “101 Tales of Fashion” featuring treasures from the permanent collections spanning four centuries. Follow them on facebook for weekly updates and to see items not currently on display. Information on their current exhibits and events are listed on their website. Admission to the Fashion History Museum is $5.00, and is free for children under 12 years of age and to those accompanying persons with disabilities. Group rates may also be acquired upon request and must be booked in advance. Guided tours may also be arranged, for an additional charge. 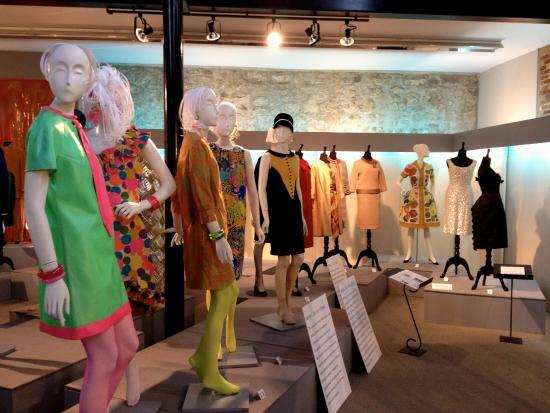 The Fashion History Museum is open 12 pm – 5 pm Wed. to Sun.. There is parking directly behind the building, and street parking is also available. Amazing adventures in awesome places along Waterloo Region's rivers and trails. Grand Experiences is known for their canoe and kayak trips, and their Ontario Signature Experiences bicycle tour of St. Jacobs Country. Learn how the aviation industry operates with displays at the Airport's Terminal Building, Waterloo Wellington Flight Centre, Royal Canadian Air Cadet Youth Development Centre, Flite Line Services. It's a fun-filled, free day of demonstrations and displays. Activa Sportsplex is a 108,487 square foot multi-purpose athletic facility that hosts ice sports, summer indoor sports, boxing and recreational walking. The environmentally friendly venue is the first arena facility to receive LEED certification.